Months can fly by, and soon special occasions are right on top of us, we scramble to think of ideas on how to spend the day, and sometimes fall short of expectations. We already had Christmas, that felt like yesterday… but now Valentine’s Day is less than a month away. Here are our 5 tips on how to plan ahead and start winning at making moments just that more special. Plan ahead…. yes we know that sounds super easy, and oh so obvious. But sometimes the procrastination monster creeps up on us. Use your technology: use your calendar and alerts on your mobile phone and desktop computers at work, to remind you of upcoming events. These will prompt you to take action. Set goals, today set the idea, make arrangements, plan the day. Do your research, no one likes to be asked “what do you want for your birthday”, it just feels like you have not taken the time to listen and get to know the person and their needs. Use Google, and look up different ways to celebrate, or Pinterest, it has a world of amazing ideas for you to use. Let the person/s know that you are planning something special, especially if the date is not on their actual birthday or a special occasion like Valentine’s Day. Create an invite, what you may do could be a surprise, but make sure they save the date. This will also make sure that you commit to the celebration and get your planning into gear. To make life easier for you La Vita Spa has put together 2 amazing Valentine’s packages. Only R1299 per couple. Revitalise and rejuvenate this February with a Be My Valentine Package (2h10min), which includes an Express Facial, Hands and Feet Deluxe, Full Body Aromatherapy Massage, Refreshments, and take home 2 Pen and Key Holder sets. Available at 25 La Vita Spas nationwide. Book online now (http://bit.ly/2DYrKPf) and save 10% – pay only R1150. Offer ends 28 February 2018. We are halfway through January already…. have you had a chance to catch your breath as yet? Are you ready for the year ahead? The big question is how are your New Year’s resolutions doing? Don’t beat yourself up, if you have fallen off the wagon a couple times. It’s okay to reset your goals and expectations and try again. Try writing down your goals on a piece of paper and have them somewhere visible at your workstation or at home. Wanting to keep your resolutions private? Why not set up a bi-weekly reminder on your phone, with an alert that pops up. One of the most popular resolutions is to choose a healthier lifestyle and care more about yourself. If you don’t look after YOU, you can’t look after anyone else. Part of a good health regime is to exercise, eat right and to look after your body after you have worked so hard getting it into shape. All of the above can be found at La Vita Spas. Did you know they have a loyalty program? It offers discounts on your treatments, that will help towards your goals. Comment below and tell us if you have set any resolutions and are you keeping them? Yikes! Its that time of the year again, where we get to spoil our loved ones. Gifting can be difficult, especially when a person seems to have everything they need. Sometimes the best gift is that of time and experience. What do we mean by that? We let you in on two ways to take advantage of the wonderful packages at La Vita Spas. This perfect package includes the following treatments; Roman Royalty Swedish Massage, Ultimate Anti-aging facial, foot exfoliation and foot massage and an Indian Head massage – could you ask for anything more? Bonus tip: why not include a lunch or night out included? Whether it’s for him or her, this package is the ultimate indulgence, and here’s why; Majestic Milanese Facial, Hotstone full body massage, Indian Head Massage, Spa Paraffin Manicure, Spa Paraffin Pedicure and foot massage. They will never want to leave the spa after this indulgence. Bonus tip: arrange for them to have a shopping voucher after their treatment, to spoil themselves on some of the items available to purchase at La Vita Spa’s – from perfume, jewellery, bags and products, they will then have a little something to remember the day by. I am sure that I can’t be the only one that sometimes battles with choosing the right Christmas present for those special people in your life? What do you get someone that has enough; they don’t really need another gadget, another handbag or ornament for the house. I have always found that the best gifts have been those that involve an experience. From bungee jumping, spa days, samba classes or shark cage diving, nothing beats creating a memory that lasts a lifetime, those special moments you talk about for days afterwards. When chatting to friends lately, the topic that keeps on coming up – is that of stress, no time and the need to really unwind. I could not think of anything better than a day at the spa! Did you know that La Vita Spas are located in some of the most beautiful and sort out locations throughout South Africa and the UK? They are really destination spas and are an experience to themselves. When wracking my mind on what to get some of my best friends and family, my thoughts kept on going back to spa vouchers. Giving them a gift of not only a treatment – but a gift of time, a gift of self indulgence, and something that was truly just for them. You know she has been working hard all year, from working all day to looking after the home. She really needs to put her feet up. This package includes a de-stress back and foot massage, plus a back exfoliation. He has been working so hard for his family and you, time for him to unwind and just chill. It’s the holidays and she wants to look glam, having a fab set of nails is a great confidence booster and the La Vita Spas are the perfect spot for that selfie. I don’t think I need to explain why you need to treat your mom? The Sunset package includes 3 treatments – Hotstone Full Body Massage, Super Extraction and a Venetian hands and feet massage. If you could dream about a holiday destination that gives you everything on your wish list – the picture that should form in your mind is one of white washed buildings, exotic location, endless beautiful horizons, delicious gourmet food, great wine, tons of actives and watching the sun set over the Atlantic ocean. Club Mykonos in Langebaan is all of those things and more, it is truly a one of kind resort on the west coast. The resort caters for your every need, it is one of those holiday destinations that would work for the whole family. Part of their experience is the amazing La Vita Spa, in the Health and Leisure centre. One of La Vita’s flagship spas, this is a not to be missed treat when staying at the resort. The Italian inspired spa, radiates luxury and serenity, the warmth you feel when you enter this spa is amazing, the therapists are so welcoming. When planning on visiting Club Mykonos and the La Vita Spa, make sure you book your spa treatments in advance, take a look at the treatment menu to plan your day. Fathers day is always a difficult period for me as my dad passed on 8 years ago. I miss him everyday and even more on all the special occasions. I also get a bit envious when I see all the families spending time with their dad’s. My dad and I were very close. Girls are always special for their dads. My dad was a bit old fashioned when it came to going to a spa and having beauty treatments. Dad came from the “old school” and felt spa treatments were not manly. About 12 years ago the resort group I worked for started adding La Vita Spas to their properties and hotels to enhance customer experiences and I kept bragging about all the wonderful treatments I was experiencing and how wonderful and relaxed I feel after each spa treatment. Gradually dad became inquisitive and wanted to know more about the spas and what they offer and what type of people go to a spa. I eventually convinced dad to join me and mum for a day in the spa, we went to the La Vita Spa at The Palace All Suites. I had dad look at the vast array of treatments offered in the spa menu and made him choose what he felt comfortable with. His first treatment was a spa paraffin pedicure and that was a hit, he tried the spa paraffin manicure next and after that he had a full body hot stone massage, dad was in his element. He next had to try the hydro facilities. He loved both the sauna and the Jacuzzi. The spa bug had now bitten dad and I had to book him a treatment once a month. The spa paraffin pedicure was his favorite monthly treat combined with a Full Body Aromatherapy Massage. Miss you dad, hope you enjoying some spa treatments with the angels. May “moms month” is closing out and Mothers Day is just a distant memory or is it? Moms around the world will agree with me I am sure…. do we ever get a weekend? On a Sunday evening do you ever feel like you need a weekend from your weekend? I know I do! My 10 month old has me running around, from keeping offending items out of her mouth, preventing her from any danger, playing, singing, making food, bottles, cleaning, diapers, wet wipes, bath time, garden walks and cleaning up the wake left behind. Shew! Did I leave anything out? Probably – myself. 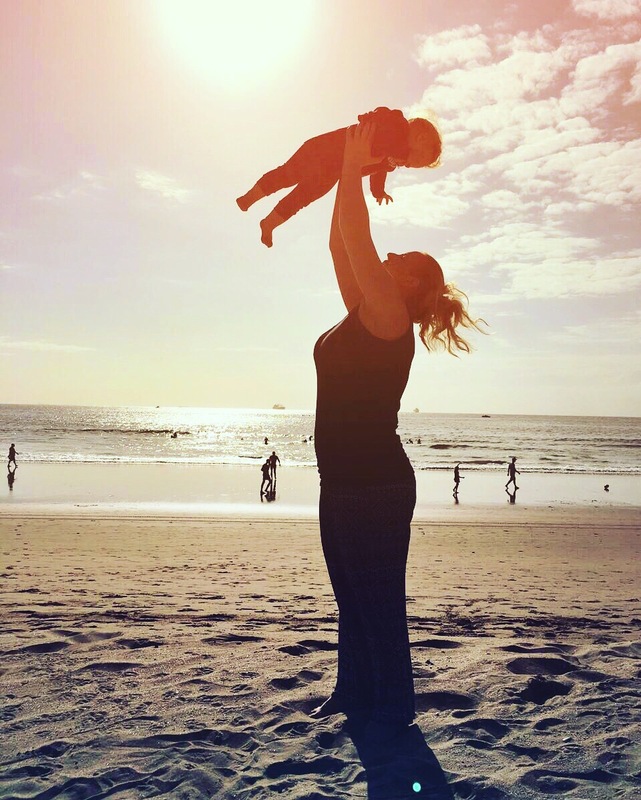 Tangled up in being a mom and the endless selfless acts will leave you tired and drained. Where, when and how do you relax? Did you know that La Vita Spas are open late? Well there are! What a delight, while on holiday or at your spa nearby, book yourself a late night treatment. The kids are fed, bathed and asleep, leave hubby behind and go get that white fluffy robe on! I suggest a wonderful massage. Once complete you can just melt into bed and fall asleep – bliss. As a daughter, Mothers Day gives me the ideal opportunity to tell my mum how much I love, respect, appreciate and admire her. It also reminds me to aspire and make my mum proud of who I am today all because of her sacrifices. My mum is my best friend and we spend lots of time together doing lots of different things. Travel is one of our passions that mum and I share. We recently spent a few weeks in India exploring the sights, sounds and colour of this beautiful country. Visiting the Taj Mahal one of the 10 wonders of the world was one of the highlights of our trip and not forgetting elephant riding around the Amber fort. Mum is more adventurous than I am and will give anything extreme a try. This year mum and I plan to explore Hong Kong and Thailand together for her 70th birthday. With Mothers Day around the corner, both adults and children start searching for new ways to make the most important person in their lives feel extra special. Taking the time to research mum’s hobbies show you care, and can result in a fantastic new gift that she would not normally purchase for herself. I have come up with a few suggestions to help you celebrate Mothers Day and spoil the woman in your life. ➢ Book the Mother & Daughter Spa Package as a treat for you and mum to bond http://www.lavitaspas.com. Nothing was working, she would not settle and I could see she was uncomfortable and agitated. Who could blame her with 3 new teeth cutting through. When I was on my last tether and about to breakdown. Instinct kicked in. 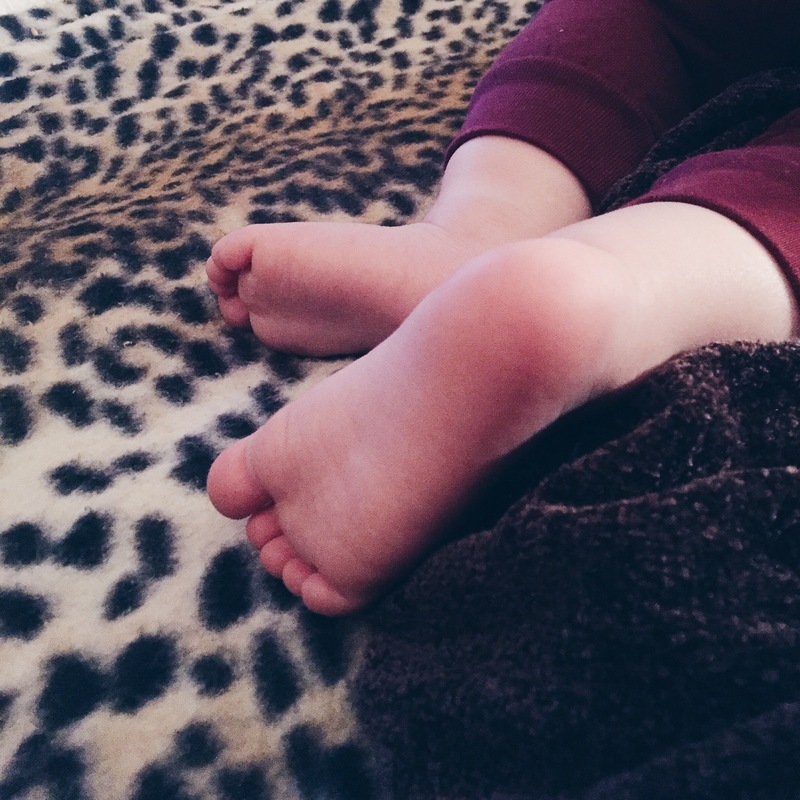 I calmly lay her down and placed her two chubby baby feet on my lap and started to gently massage the soles of her feet. Not too light to tickle and not to hard to hurt. Within seconds I noticed the once tense tiny little body start to relax and calm. I could not believe it. The calming touch of my hands soothed her stressed little self. Soon she was in a deep sleep and not long after I too was deep in slumber. It reminded me that no matter the age, the healing touch of another’s hands can melt all your stresses away. Every time I visit the spa and let myself go and melt away into the caring hands of one of the well trained ladies of La Vita, I know I will leave there feeling better than I did before. Sometimes we all need healing hands to help us along. Even those little ones with chubby toes and tiny woes.